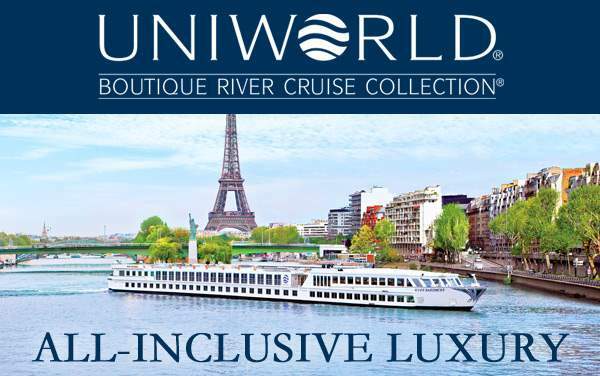 Uniworld’s newest addition to its renowned fleet of Super Ships is rightly named S.S. Joie de Vivre. 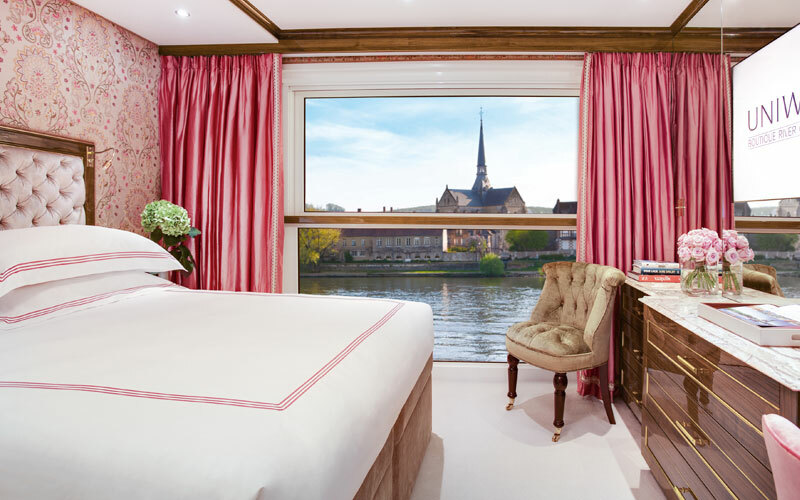 This floating pied-a-terre on the Seine River has 54 staterooms, eight Junior Suites and two Royal Suites. 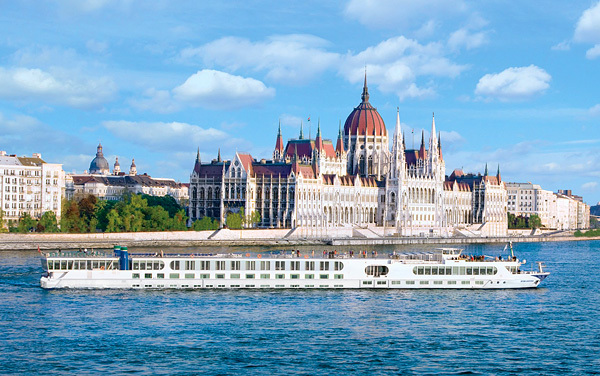 With a 24-hour in-room dining and butler service, farm-to-table cuisine and superb local wines, nothing reflects the “joy of living” better than this 128-passenger vessel. 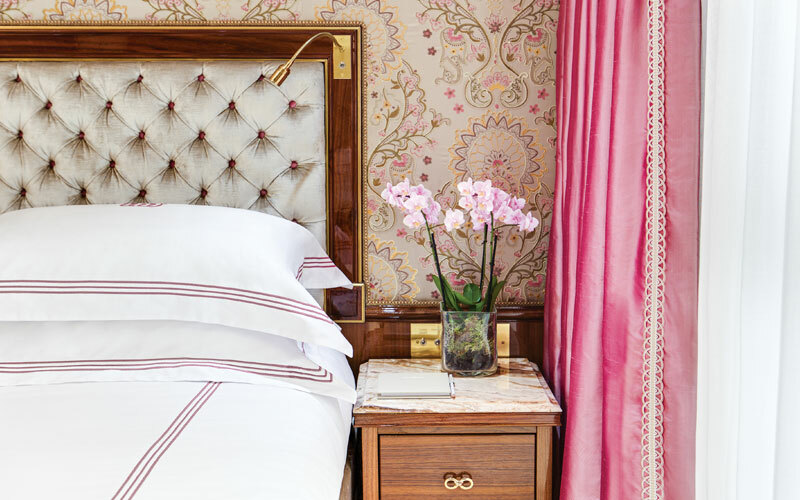 Her made-to-order Savoir of England beds, marble-lined bathrooms, sophisticated fabrics, furniture and gilded accents perfectly showcase a highly artistic 20th-century Renaissance theme. 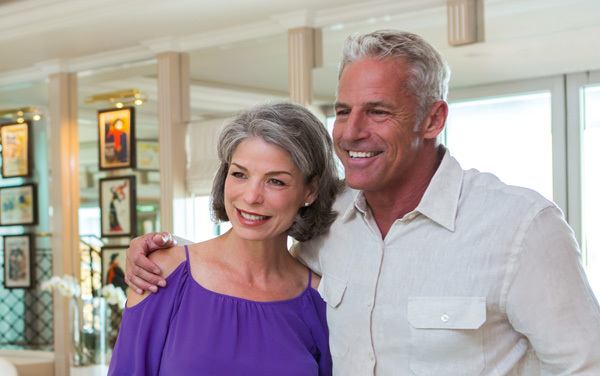 While on your Parisian getaway, be sure to visit the S.S. Joie de Vivre’s Salon de Beaux-Arts lounge which features a collection of fine art and antiques, Salon de Toulouse functioning as a full-service bar, and Le Club L’Esprit dedicated to health and wellness. 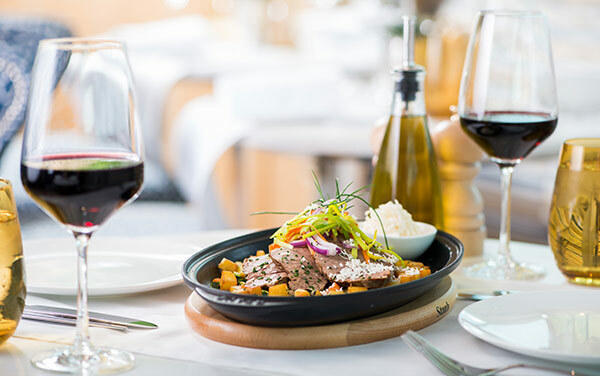 Enjoy private dining and wine-pairing dinners at Le Restaurant Pigalle and a Cave de Vins. 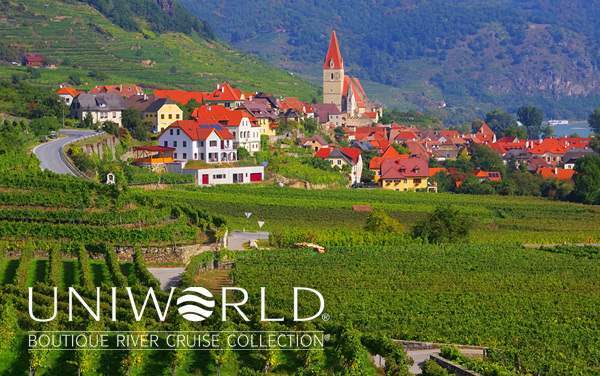 This is a river cruise set apart from the rest. 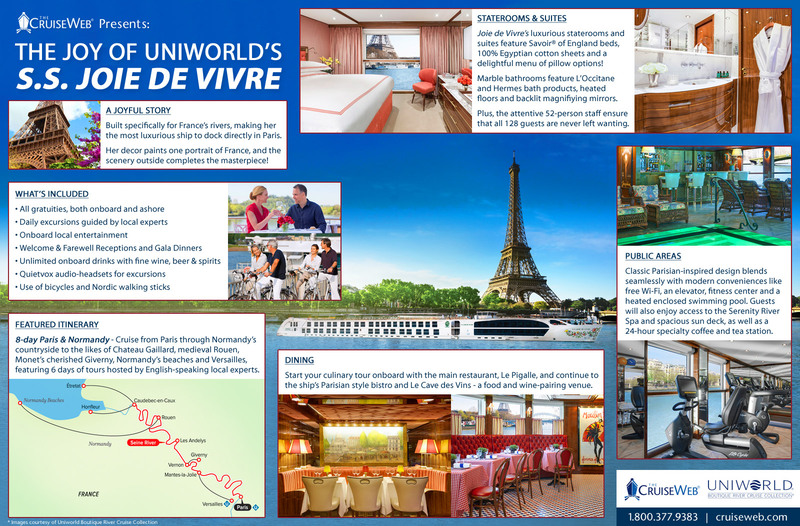 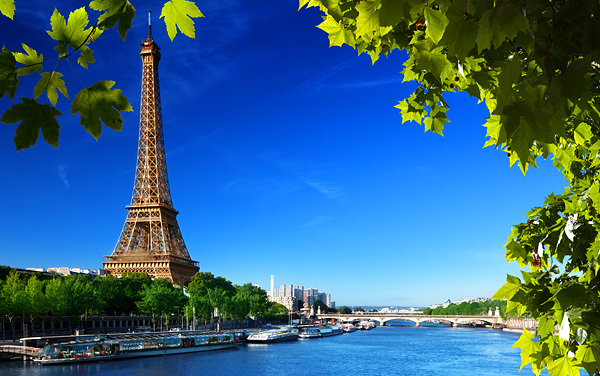 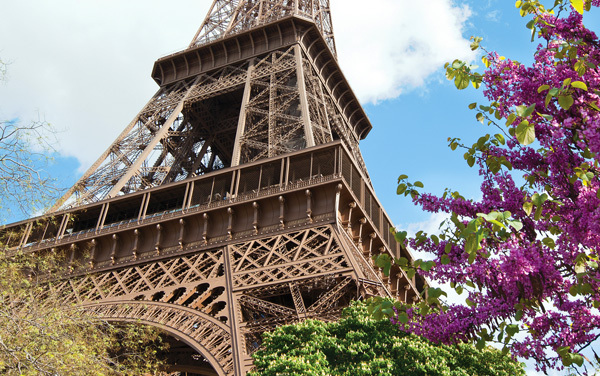 Book today and enjoy a lifetime of wonderful memories aboard Uniworld’s S.S. Joie de Vivre. 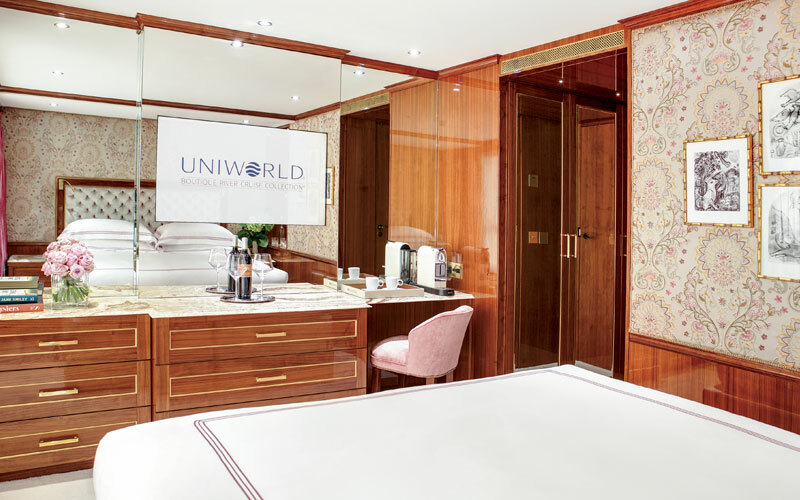 Lavishly appointed riverview stateroom .Handcrafted Savoir of England bed, built-in closet, hair dryer, safe, individual thermostat, flat-screen TV with infotainment center and satellite, and bottled water. 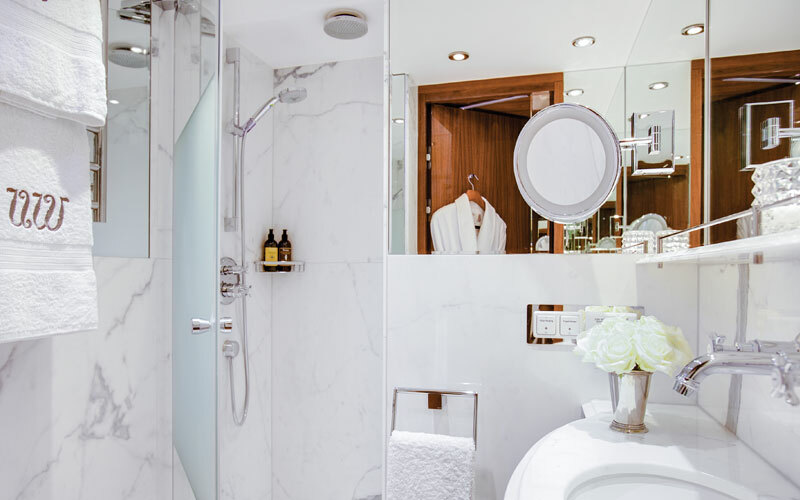 Marble bathroom with L'Occitane en Provence bath and body products, plush towels, towel warmer, cozy bathrobes and slippers. 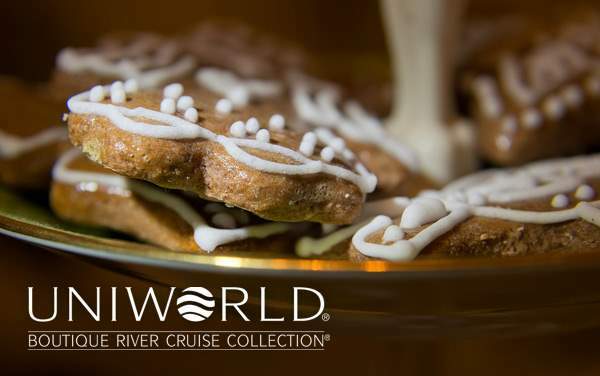 Lavishly appointed riverview stateroom with a Full balcony.Handcrafted Savoir of England bed, built-in closet, hair dryer, safe, individual thermostat, flat-screen TV with infotainment center and satellite, and bottled water. 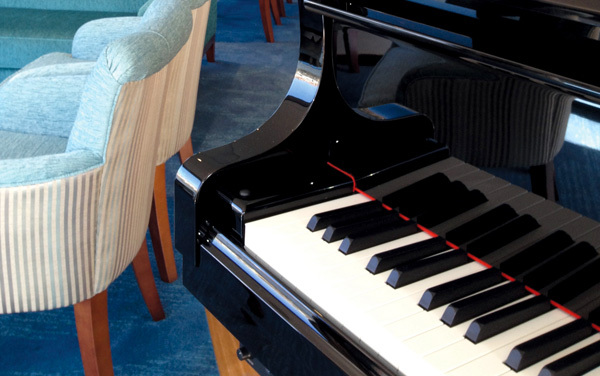 The Presidential Suite offers extra benefits, including a separate spacious living room, bathroom with a separate rain shower and tub, and secluded toilet and bidet area.